Jonathan congratulates Makarfi ,urges those who left PDP to return – Royal Times of Nigeria. 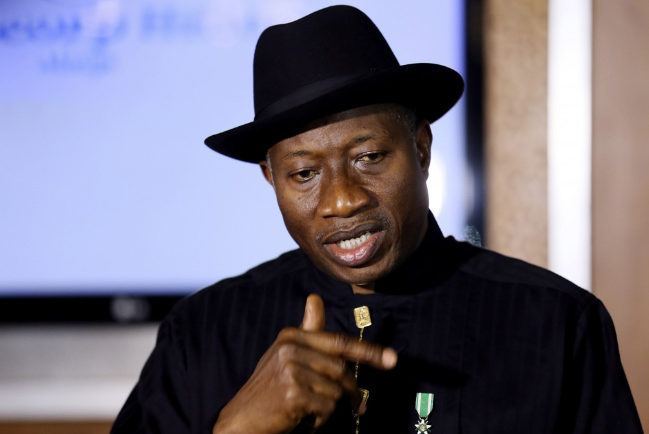 Nigeria’s former President, Goodluck Jonathan Wednesday has reacted to the court ruling affirming Ahmed Makarfi as the legitimate leader of the People’s Democratic Party (PDP). In a statement on Facebook, the former leader congratulated Ahmed Makarfi for his victory, asking that the victory is not seen as a victory for a section of the party. Jonathan also asked those who have left the party to return. The statement reads: “I congratulate my political party, the Peoples Democratic Party, on the successful resolution of its leadership crisis by the Supreme Court of Nigeria. “I believe in our jurists. We may have issues with some individuals but the Nigerian judiciary deserves our respect and commendation. They have served this country well. “Today’s verdict is a judgment where there are no winners or losers. It is a verdict that will bring our party together. We should all thank the Supreme Court of the Federal Republic of Nigeria. “As I congratulate the Ahmed Makarfi led Caretaker Committee, I want to strongly urge them not to see this as a victory of a section of the party, but as a moral victory of constitutionality over arbitrariness. “Thus, they must take inspiration from General Yakubu Gowon and declare a ‘no victor and no vanquished policy’. “As a senior member of the party, I hereby call on all those who left the party because of its leadership issues to return to their natural home and build the PDP. “The PDP is an inclusive vehicle, not an exclusive one. We see Nigerians as human beings deserving of the rule of law, separation of powers and a free market economy that provides a level playing ground for all. “The party that gave Nigeria the largest economy in Africa is a party whose heart is large enough to find a place for all Nigerians.